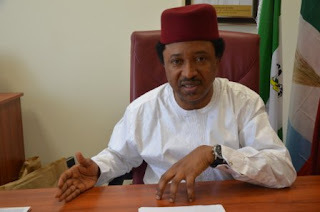 Senator Shehu Sani representing Kaduna Central Senatorial district has called for clinical examination of the mental state of Kaduna governor, Nasir El-Rufai. In a letter dated 7th May, which was addressed to the Chief Medical Director of Federal Neuro-Psychiatric Hospital, Kaduna, the lawmaker wondered how a governor, who is the Chief Security officer of the state could ask the people to go on riot for political reasons. He said El-Rufai’s speech should be analysed. He expressed fears that something must have gone wrong with the governor. Part of the letter which was made available to DAILY POST reads: “As a citizen and a serving Senator of the Federal Republic of Nigeria, I am concerned that such inciting expletives and profanity could be uttered by a public servant who is also the security officer of a state. “It is in the safe interest of the state and the nation, that the mental state of the governor be clinically and professionally verified”, the letter insisted. Sani said El-Rufai was notorious for inciting groups against another in order to perpetuate evil agenda, adding that the psychiatric test should be treated with urgency. He further stated that the outcome of the result would assist him to move a motion in the Senate that public officers and their appointees should be undergoing psychiatric and drug related tests from time to time. Kaduna State governor, Nasir El-Rufai had in his speech at a commissioning ceremony in Kaduna last week rained curses on three Senators from the State for rejecting the World Bank loan of $350 million he applied. The governor described them as enemies of the state, saying, they should be stoned wherever they are seen, adding that none of them should be allowed to return to office in 2019. The letter was copied to the Nigeria Medical Association and the Association of Psychiatrists in Nigeria.